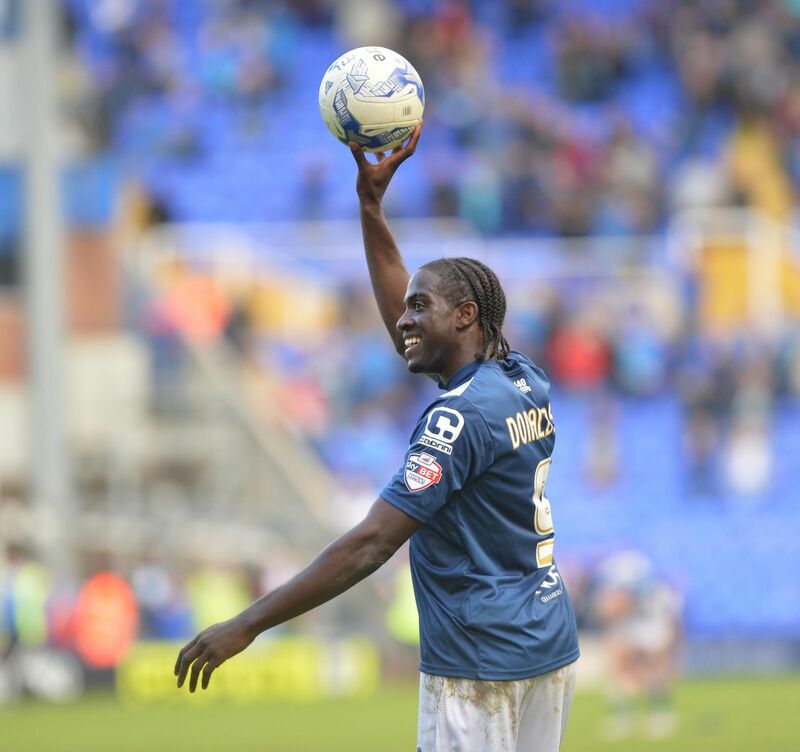 Clayton Donaldson put Bristol City to the sword with a first-half hat-trick as Birmingham City ran out 4-2 winners at St Andrew’s, rising to fourth in the Championship table. Donaldson bagged two poachers goals in the opening twenty minutes, before Jonathan Kodijia pulled one back for the Robins. Donaldson struck again to complete his hat-trick from the penalty spot as the first half drew to a close, then Kodijia scored his second of the day to put the away side just one goal behind once more. 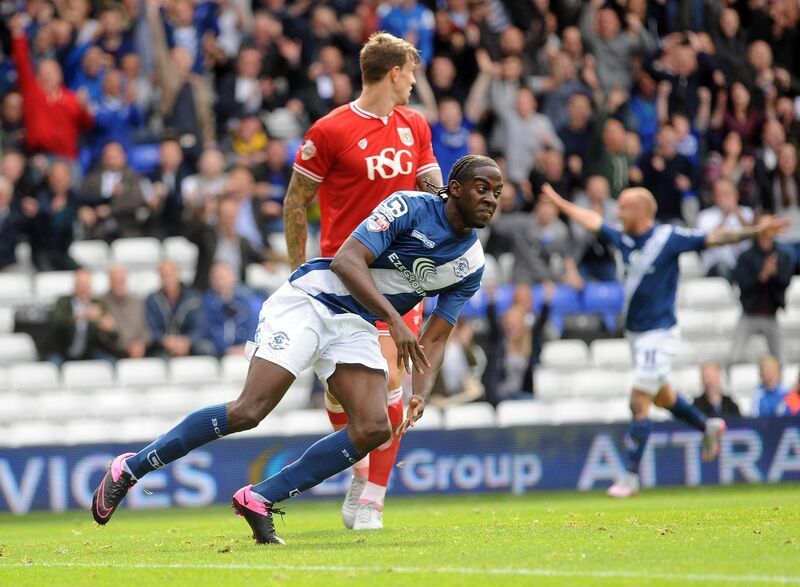 But Blues secured a deserved three points when Jonathan Grounds headed home 13 minutes from time. Blues, looking to extend their unbeaten start to the campaign, were unchanged from the 2-0 victory at MK Dons, aside from Viv Solomon-Otabor replacing the departed Wes Thomas on the bench. And Gary Rowett saw his side take an early lead courtesy of Donaldson’s excellent positioning. Demarai Gray’s cross was overhit but the ball found solace in the feet of David Cotterill, who drove a low cross into the box which was guided home with ease by Donaldson. Just ten minutes later, the sprightly Donaldson doubled his tally and Blues’ lead. This time Jon Toral turned provider, who, after a passing exchange with Donaldson, fed the ball into the striker’s path. Donaldson made no mistake from close range, firing a shot into the back of the net. Blues could have further added to their lead, when first referee Mark Brown refused to award a penalty despite Bristol City defender Aden Flint paying very, very close attention to the dangerous Donaldson. Then, Toral had a glorious opportunity to add his name to the scoresheet but headed wide from six yards out. Despite their chances, Blues could not extend the two-goal cushion which was reduced to one after 32 minutes as Kodijia bagged his first of the afternoon. After a fine pass, Joe Bryan hit a threatening cross which fizzed along the six-yard line into the path of Kodijia who fired past the helpless Tomasz Kuszczak. But the Robins’ celebrations were short-lived, as the clinical home side added another four minutes before half-time. Aaron Wilbraham brought Toral down inside the box and this time referee Brown pointed to the spot. Donaldson completed his hat-trick as he coolly slotted his penalty down the middle, evading Bristol goalkeeper Frank Fielding. After a first period featuring four goals, the second half began in an anti-climatic manner with neither side able to fashion the opportunities they had in the opening 45 minutes. The first real opening didn’t come until 62 minutes, when Marlon Pack narrowly fired wide of Kuszczak’s goal. But the away side capitalised on their next opportunity to reduce the deficit to single goal once more. Blues failed to clear a deep free-kick that was hooked back into the path of Kodijia, and the 25-year-old volleyed an effort into the back of the net. Donaldson looked to have bagged his and Blues’ fourth goal of the day 15 minutes from time as he headed home Gray’s deflected shot. But the assistant referee raised his flag and – according to replays – incorrectly ruled out the header for offside. However, there was no debate surrounding the final goal of a hectic afternoon’s play. Cotterill delivered a well-placed corner into the path of Grounds, who characteristically thumped a low header past Fielding. Donaldson almost capped off a superb display with another goal deep into stoppage time but saw his effort palmed away by the Bristol stopper. But, thanks to the 31-year-old’s hat-trick – his second at St Andrew’s – Blues rise to fourth place ahead of Tuesday’s clash at home to Nottingham Forest with their unbeaten record in tact. 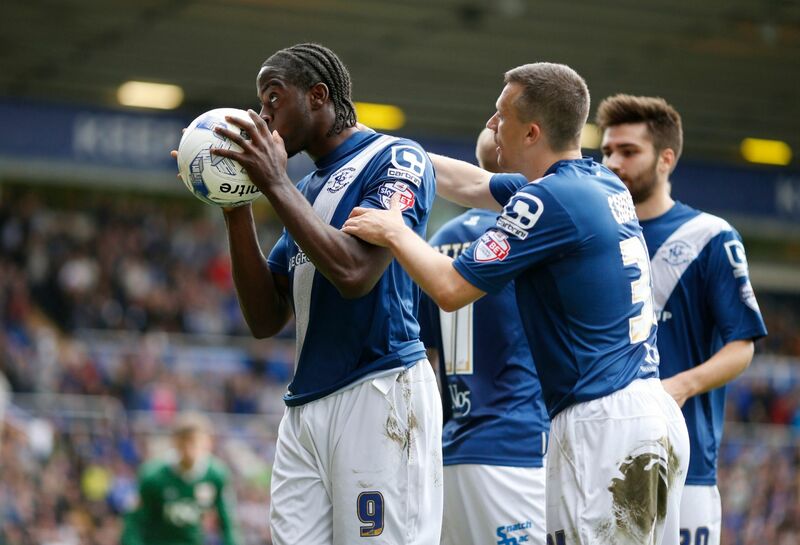 The last time Birmingham began the season unbeaten after five games, it ended in promotion. 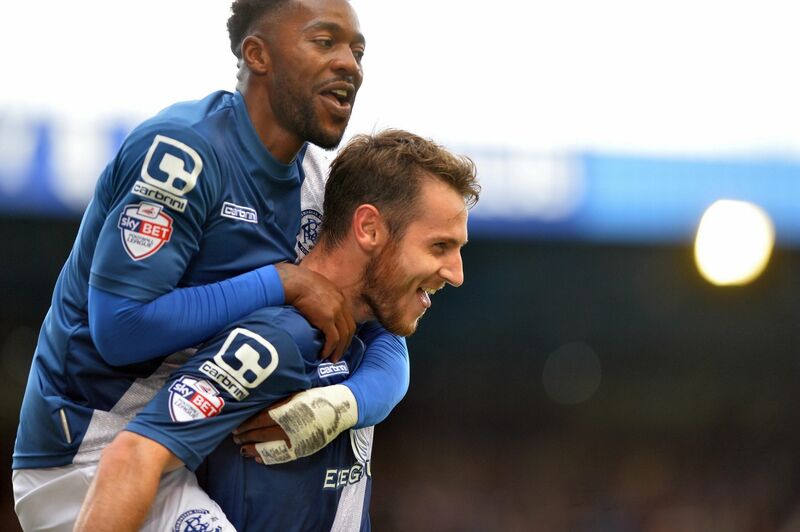 Blues boss Gary Rowett: “I was really pleased with the performance, particularly for the first 60 minutes. After that we allowed the game to become a little too open. I think this was due to Bristol City’s formation and the way they tried to attack. “We took a little bit of gamble with our tactics by playing our wingers higher up the pitch. We felt that this could give their wing-backs a problems. We got a little reward for these tactics. It is wonderful to have this “feelgood factor” being a long-time Birmingham supporter and I would think the players have a lot of confidence too, There are some more obstacles to overcome before the Big Villa match, but after watching Villa dropping a 2-0 lead at Leicester that later won 3-2, I feel certain that the Blues can do a really good match against them.